Transcriptional regulation is directly enacted by the interactions between DNA and many proteins, including transcription factors, nucleosomes, and polymerases. A critical step in deciphering transcriptional regulation is to infer, and eventually predict, the precise locations of these interactions, along with their strength and frequency. While recent datasets yield great insight into these interactions, individual data sources often provide only noisy information regarding one specific aspect of the complete interaction landscape. For example, chromatin immunoprecipitation (ChIP) reveals the precise binding positions of a protein, but only for one protein at a time. In contrast, nucleases like MNase and DNase reveal binding positions for many different proteins at once, but cannot easily determine the identities of those proteins. 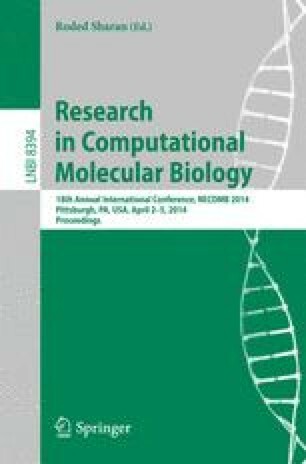 Here, we develop a novel statistical framework that integrates different sources of experimental information within a thermodynamic model of competitive binding to jointly learn a holistic view of the in vivo protein-DNA interaction landscape. We show that our framework learns an interaction landscape with increased accuracy, explaining multiple sets of data in accordance with thermodynamic principles of competitive DNA binding. The resulting model of genomic occupancy provides a precise, mechanistic vantage point from which to explore the role of protein-DNA interactions in transcriptional regulation.